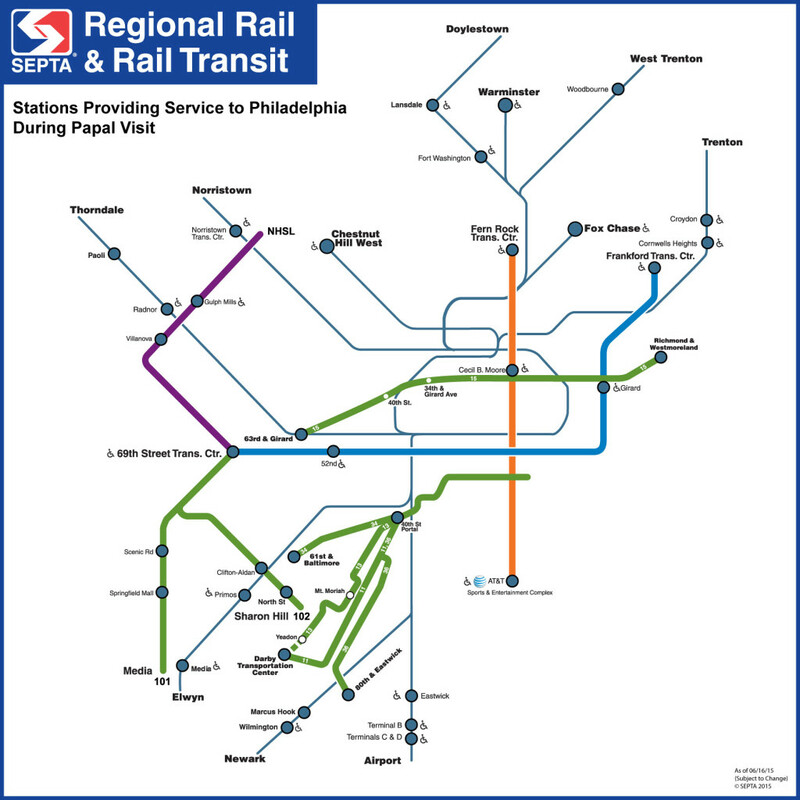 A map from SEPTA shows what stations will be open during the pope's visit. As Philadelphia prepares to welcome Pope Francis in September, city officials are also bracing for the onslaught of some two million visitors entering the city to come see the pontiff. Having so many people within city limits poses certain logistic complications, of course. There are lodging considerations – where will everyone stay? And then, of course, there’s the question of how they will get around. Philadelphia is a city that thrives on public transportation. Many people in the city center don’t have cars and rely on subway, bus, or rail to get around. What will happen when the city’s population essentially doubles? 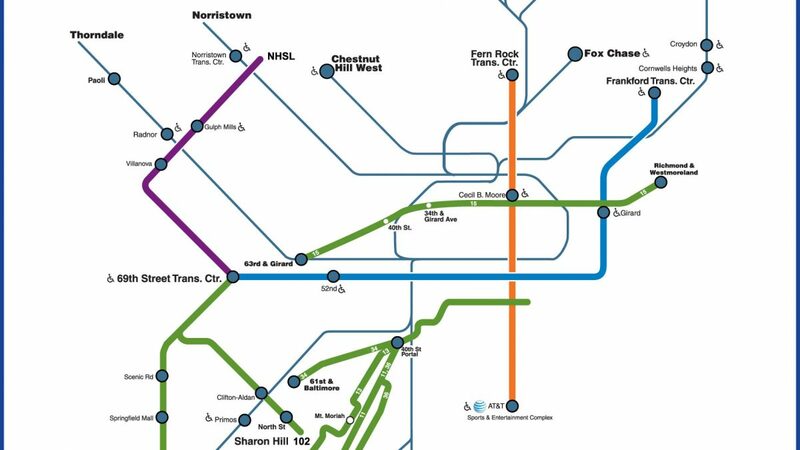 A map from SEPTA shows what stations will be open during the pope’s visit. City officials have a message for residents: be prepared to walk. That, verbatim, is the official word from Mayor Michael Nutter, who was asked about the transportation issue during a recent press conference. During the week of September 22nd, when the pope will be in town, he says that there is a high likelihood that normal transportation will be disrupted due to overcrowding. Nutter referred to the pope’s visit as one of the largest events in Philadelphia in modern history. Accordingly, he said, the lives of many citizens will be impacted by it. SEPTA says that it believes its daily passenger load of 300,000 will at least double during the papal visit. For two days of the pope’s visit, September 26th and 27th, just 31 of SEPTA’s 281 stations will be open, and for boarding only. Regional Rail lines will carry special tickets, and it is expected that these will sell out. These rails only have a capacity of 180,000. In short, residents should expect the unexpected – and break out their walking shoes.